It only lasted 15 minutes and 28 seconds. But Alan Shepard's Freedom 7 flight—officially designated Mercury-Redstone 3—proved the soundness of man and machine to travel beyond the atmosphere. It also demonstrated that the United States was not far behind the Soviet Union after all in the race to the new frontier of space. Shepard's May 5, 1961, flight was suborbital: His Mercury capsule popped like a cork to an altitude of 116 miles, then splashed down in the ocean 300 miles east of Cape Canaveral. The astronaut was weightless for about five minutes, and felt no ill effects. 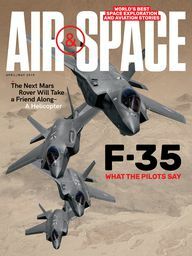 Shortly afterward, he told debriefers, "Even though I did not accomplish every single detail that we had planned for the flight, I still did much better than I had originally thought I would." Encouraged by the Mercury success, President John F. Kennedy proposed, in a speech delivered to Congress on May 25, 1961, that the United States undertake a mission to land a man on the lunar surface. Just 20 days after Shepard's flight, with only 15 minutes of spaceflight under its belt, NASA was on its way to the moon. Pictured above: Shepard during the Mercury-Redstone 3 flight. Americans didn't learn the name of the county's first space man until three days before his launch. 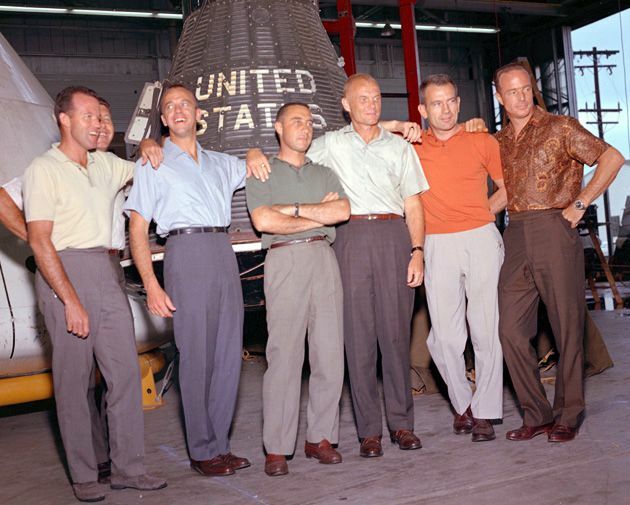 In February 1961, NASA had announced that one of three men would fly the mission—either Alan Shepard, Gus Grissom, or John Glenn (the center three in this lineup, flanked by Gordon Cooper and Wally Schirra on the left and Deke Slayton and Scott Carpenter on the right). News reporters were betting on Glenn. But the astronauts had already been told in January that Shepard would be first. When NASA finally revealed his name after a launch scrub on May 2, Shepard wrote later, "I was relieved....It was getting to be a strain keeping the secret."